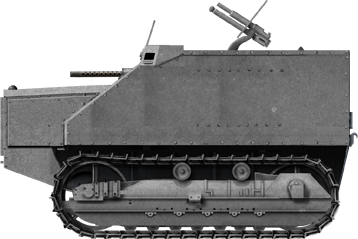 The Disston Tractor Tank (sometimes known as the Disston 6-ton Tractor Tank) was essentially a Caterpillar tractor that was given a simplistic armored superstructure, a turret, and a modest armament of a .30 cal (7.62 mm) machine gun and 37 mm (1.46 in) cannon. It was a Great Depression-era business venture – The idea being to sell cheap tanks to the military, knowing full well that value for money would be a key selling point during the period. However, they were, for the most part, deemed unsatisfactory, and eventually ended up being marketed to developing nations such as Kuwait, Romania, and Afghanistan for army / policing use. The vehicle is very obscure and a lot of its history remains a mystery. 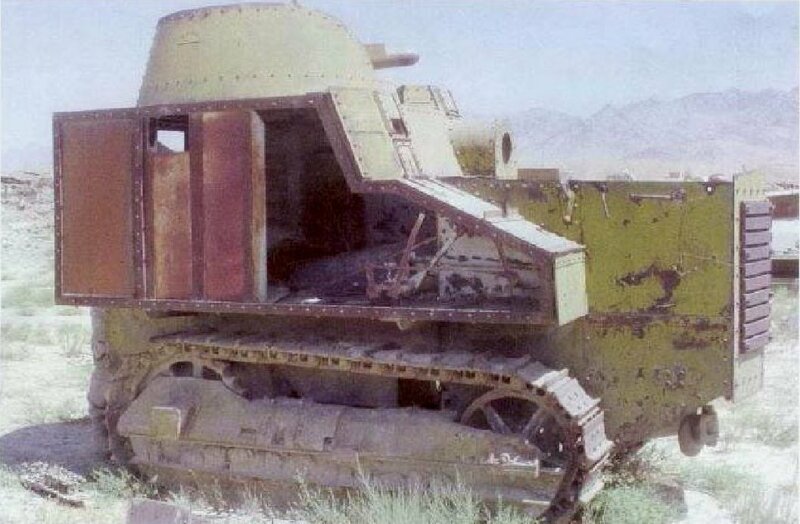 Only Afghanistan is a confirmed user of the Disston Tractor Tank, with an estimated five surviving in scrapyards to this day. There are also claims of attempts to sell the vehicle to China, Canada, New Zealand, and even the USMC, which will be evaluated in this article. Four Disston Tractor Tanks in Afghanistan, circa late 30s. One source has suggested that these tanks may have just arrived in Kabul, hence their armaments being removed. However, the original caption does not suggest this to be the case. A driver can just about be made out inside the vehicle on the left side – the driver’s armored port has been lowered down (see other photos for a comparison). Also, there appears to be a tiny hatch just next to the engine deck, with an unknown purpose – possibly maintenance. As taken from an unknown German book on Afghanistan from 1940. The Disston Tractor Tank was a risky business venture with the aim of selling cheap but effective weapons to the military during the Great Depression. According to “Mobilize! : Why Canada Was Unprepared for the Second World War” by Larry D. Rose, they only cost $21,000 ($366,750 in today’s money), which might sound like a lot, but it was roughly half the price of a contemporary British light tank, and with their 37 mm armaments, they were hardly under-armed vehicles for a mere tractor tank. The exact creator and designer of the vehicle is the subject of debate – sources will either cite the Disston Company or the Caterpillar Tractor Company. There is strong evidence for both. For example, the Disston Company had helped Frank Sutton with his very similar design, the Sutton Skunk , and what’s more, they seemed to have done all the assembly of the vehicles. However, it seems more likely that the idea came from Caterpillar – according to “A Place to Live and Work: The Henry Disston Saw Works and the Tacony” by Harry C. Silcox. At some point in the “mid-1930s“, William D. Disston was asked by Caterpillar Tractor Company of Peoria to create tank armor sets for tractors – which implies that Caterpillar at least came up with the concept, if not the exact design. 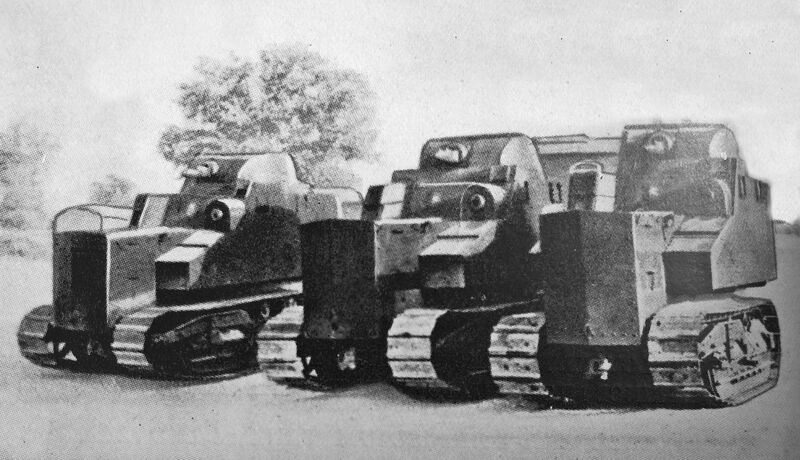 Disston received Caterpillar Model 35 (not, as some sources suggest, Model 30) tractors and assembled them into tanks. Assuming that this is true, the name “Disston” was likely used for the tractor tanks because either the Disston name had significant brand power (which it indeed did), or because Disston came up with the exact design. At some point, Otto Kafka Incorporated was involved in this deal, most likely purely for marketing, but it is unclear how they came to be involved. One of the big unknowns of the Disston tractor tank project is when the idea was conceived. Evidence suggests that the idea came about in 1933, as there was an attempt to sell some to Kuwait in January 1934. 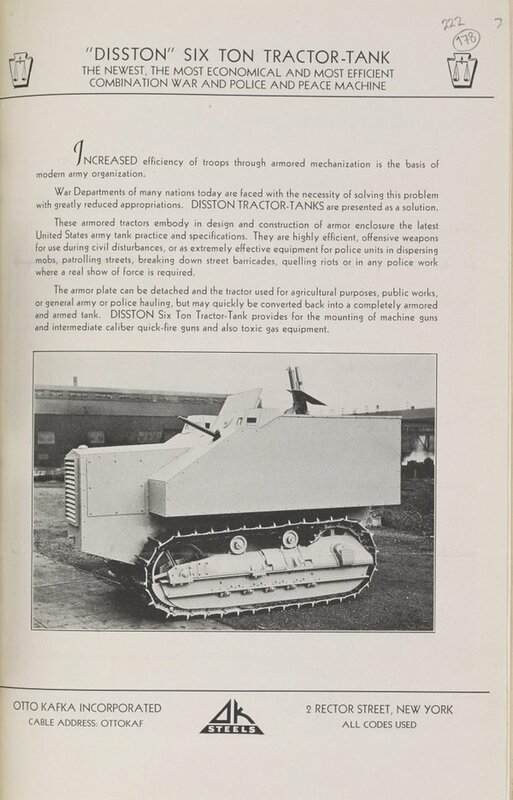 Included in a pair of letters to Kuwait from Otto Kafka Incorporated is a leaflet advertising the Disston Tractor Tank, which includes a photo of a Disston tractor tank prototype. Logically, it follows that the agreement between Caterpillar and Disston took place in 1933 (or perhaps, but not likely, January 1934), with one prototype made at that point. 1. Prototype. According to esotericarmor.blogspot, this vehicle is a simplified ‘late type’, but this does not appear to be the case. This type has only been seen on advertising leaflets with a 37 mm gun mounted with a gunshield instead of a turret. Its hull shape is simpler than other types. It features a short track assembly / suspension which is the original Caterpillar Model 35 design. It also has a large grill at the front of the vehicle for air intake. 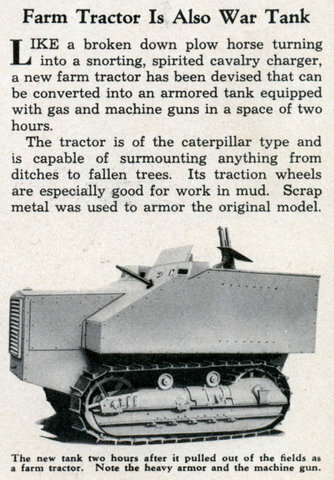 It is believed to be the prototype as a 1935 advertising leaflet suggests “scrap metal was used to armor the original model“, with a picture of this type below. 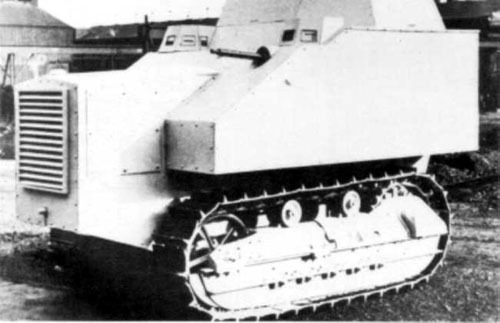 According to the leaflet, it only took two hours to assemble the prototype – not to convert the tanks back into tractors, as some sources have suggested. 2. Main type – Longer track assemblies. This is the most common type, of which four are known to have been made, albeit with slightly varying hull dimensions. The longer track assembly appears to have been modestly made – a third roadwheel has been added in front of the larger, original front wheel. It is held in place by a large metal bar, riveted to the rest of the assembly. The rest of the track assembly appears unchanged. There are plenty of maintenance hatches on the vehicle – one either side of the engine deck, and perhaps another two in front of the driver’s and secondary gunner’s positions. There seems to be some small, near unnoticeable differences between individual hulls, such as the height of the engine deck (see photos). These vehicles were likely upgraded with engine ventilation grills at some point after the late 30s. 3. Short track assembly – in Afghanistan, a standard body type has been seen mounted on an unaltered tractor chassis. The reason why this type was made is unclear. It is most likely that this is simply how the vehicle was built and delivered from Disston. However, it could possibly be the prototype upgraded with a new body type. 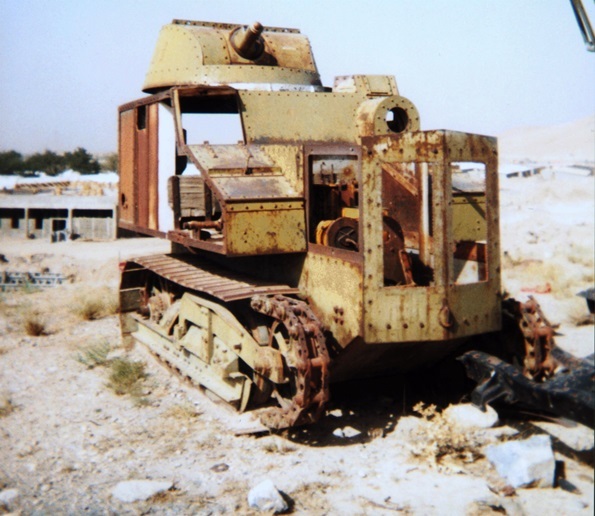 It could also possibly be a local conversion of the same Caterpillar tractor – according to one source, Afghanistan ordered extra armor shells without tractors (although whether this is true or not is still in debate), so it is possible that it was an Afghan conversion, but this is unlikely. Strangely, the hull of the vehicle also does not appear to be as long as the others. Every Disston Tractor Tank featured two guns – a 37 mm M1916 gun in the turret (although the vast majority of photos show no gun barrel), and a .30cal machine gun in the hull (probably a Marlin, as these were commercially available), with perhaps five other gun ports (two on either side of the hull, and one on the rear, although it is unclear which are viewports, and which are gun ports). Armor thickness is unknown. One source suggests 6-13 mm (0.24-0.51 in), but another source suggests 6-8 mm (0.24-0.31 in). In any case, the armor would certainly stop small arms fire and light shrapnel. Its speed is estimated to be roughly 5-6.5 mph (8-10.5 km/h) with a 47.5 hp, 4 cylinder, diesel engine. In the lower front plate covering the engine, a small hole is visible, which is for inserting a rod to start the engine. It is unclear where the exhaust pipe had been moved to. The crew consisted of three – a driver, commander/main gunner, and a secondary gunner. However, according to advertisements, the tank also had troop transport capabilities, with a maximum of seven men. Once it was realized that western buyers such as the US military were, for the most part, not interested, the tanks were instead marketed to developing nations such as Kuwait and Afghanistan. This process began as early as 1934, with the first known attempt in January 1934, to Kuwait. The design was well-marketed, with letters addressed to foreign leaders with informative pamphlets enclosed. The only nations it was known to be marketed to are Kuwait, Afghanistan, Romania, and possibly Canada. It is highly likely that attempts to sell to other nations happened between 1934 and 1935 via Otto Kafka Incorporated, but these documents may remain hidden in national archives. Kuwait seems to have been the first known to receive a sales pitch involving the Disston Tractor Tank. At some point, Otto Kafka Incorporated was involved in the Disston Tractor Tank deal with Caterpillar and Disston, possibly a result of companies collaborating in order to survive the Great Depression, or perhaps a desperate attempt to make money on the near-failed tractor tank project. “What the auxiliary cruiser is to a Navy, the Disston Tractor Tank is to an Army or Police Force. Both are useful and useable in peace and war. They both pay their way. The Disston Tractor Tank is the latest in army and police equipment. It is, in fact, a combination war and peace machine, and it has created a sensation in military and police circles. 1. The price of the Disston Tractor Tank is less than one half of the usual war tank. 2. Being smaller it is more ambulant and, therefore, it can be used to advantage in city streets and in difficult war terrain. 3. It is equipped to be a highly efficient combat and troop transport machine. It is an efficient offensive weapon for use against the enemy across the border, or for use to quell riots, to dispel mobs in case of civil disturbances. 4. The armature with its equipment of a 37mm. gun in the back, a machine gun in the front, and toxic gas equipment can be attached with a few moments’ work at any well-equipped garage, converting the war tank into a serviceable tractor for agricultural purposes, for general hauling and for the many other uses of the ordinary tractor. 5. The Disston Tractor-Tank accommodates a crew of three in combat, or seven when used for transportation of troops. No orders were placed, but it caught the attention of Harold Dickinson, a British political agent in Kuwait. In a letter dated 15th February 1934, addressed to Lieutenant Colonel T.C. Fowle, Dickinson suggests that Fowle intended to report the attempted sale to the British government. He also remarks that the attempted sale was “not a very edifying procedure when their Government (the U.S.A) is supposed to be taking the leading part in the world today to try and stop war etc“. Unfortunately, no further details are available on this incident. According to “The Romanian Army and the Evolution of the Tank branch. Documents. 1919-1945” by Commander Doctor Marian Moşneagu, Doctor Iulian-Stelian Boţoghină, Professor Mariana-Daniela Manolescu, Doctor Leontin-Vasile Stoica, and Professor Mihai-Cosmin Şoitariu, there was an attempt by Otto Kafka to sell Disstons to Romania. In the mid-1930s, Romania was attempting to acquire foreign tanks in order to develop their armored corps. By 24th July, 1935, B.D. Zissu informed Romanian army leaders that Kafka was “in a position to supply to Romania the latest type of tanks at advantageous prices and payment conditions“. 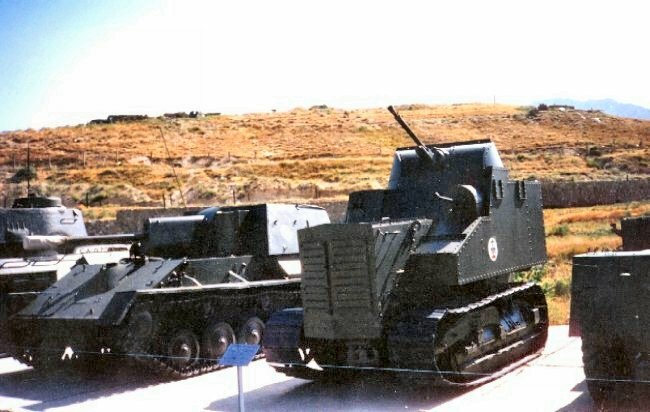 Zissu recalled that it would be possible to quickly replace damaged parts (as Caterpillar had branches across the world) and that the vehicle would be compact, cheap, have solid construction, could use a variety of fuels (apparently including alcohol), and, it had the possibility to be reconverted into an agricultural tractor. The Ministry of Defense sent an invitation on 20th August 1935, for the Disston to take part in a tank competition in September. Kafka refused, stating that the Romanians had to buy the vehicles first – perhaps suggesting something about the manufacturer’s opinion of the vehicle. Romanian officials refused this condition. On 12th November, B.D. Zissu represented a new offer to Romanian officials, whereby they would travel to the USA to view the vehicles, all travel expenses paid, on the condition that twenty-five vehicles would be bought. Again, this proposal was refused, mainly due to the high transport costs and unlikeliness of obtaining spare parts during wartime conditions. Afghanistan is the only confirmed operator of the Disston, but their order has also been the subject of the debate in terms of when it was placed, and what the exact order was. Silcox suggests it was nine tanks and three extra armor sets, but gives no date as to when the order was placed. However, in “US Military Tracked Vehicles” by Fred W. Crimson, it is suggested that ten were ordered. In “Tanks of the World 1915-45” by Peter Chamberlain and Chris Ellis, it is suggested that three were delivered. Despite these claims, it is the author’s belief that only five tanks (and nothing more) were sent to Afghanistan, one of which was a short track assembly type, because photographic evidence, both from the late 1930s, and modern photos of Disston wrecks show five and nothing more. In any case, the order was reportedly shipped in 1935 to Karachi, India (now Pakistan), and sent via train to Kabul, Afghanistan. A holiday was supposedly declared, and the tanks were paraded in the city square. It is unknown how long these vehicles were in service for, although they appear to have been used at least until after WWII. It seems as though they were, at some point (believed to be after 1937), fitted with a pair of grills at the front of the engine compartment (cut into the original armor plate), probably to avoid engine overheating. Their operational colors are unclear – most modern photos show them to be sand yellow, but one in the National Museum of Afghanistan (in Kabul) was painted dark green with an Afghan roundel. Strangely, the same tank is believed to have been seen in a scrapyard in sand yellow livery. There are no further details of their use in Afghanistan. The earliest reported sighting of a Disston by a US soldier was perhaps as early as 2003. Since then, a common figure for the current number of Disstons remaining is two or three, but this does not appear to be the case – it seems that all five Afghan Disstons have been accounted for by modern photographs. Reports from soldiers in Afghanistan is the best source to find out where these vehicles now lie, but reports from soldiers and photographs do not match up. Kingston Montgomery Winget (who was in Afghanistan in 2015) has said that he has seen three. Ian Parker (who was in Afghanistan in 2015) has reported only seen two (but believes that there are three in Afghanistan). Testofbattle.com forum user “cmikucki” (who was in Afghanistan circa 2006) has only reported seeing one at KMTC (but has reported seeing another near Darul Aman Garrison, and also believes there to be a third Disston somewhere else). Other soldiers, namely, Dean Larsen, who served in Kanadahar in 2007, and Steve Tyliszczak, who served primarily in Regional Command East, are helpful with their information on vehicles being scrapped in Afghanistan. The varying figures are fairly simple to explain – not looking for Disstons specifically might seem obvious, but it must be noted that according to Dean Larsen, Soviet vehicles had been cut up by locals and parts were likely re-purposed. Worse still, a modern LAV III was abandoned overnight, and once the crew returned to recover it the following morning, all the tires were gone, and someone was even stripping down the armor plates! Similarly, Steve Tyliszczak recalls that small tank graveyards have been consolidated into larger graveyards, and the Chinese have been cutting up vehicles for scrap in several different provinces. Based on this information, it is quite likely that local salvagers (or more likely, military clean-up and scrap operations) have meant that the vehicles have been moved, damaged further (thus making the same vehicle in different photos hard to identify), or scrapped entirely. A Disston was reported at Darul Aman Garrison in 2006, by testofbattle.com forums user “cmikucki“. “cmikucki“, who was in Afghanistan circa 2006, claims that he has seen only two Disstons. One at Pol-e-Charkhi, and another at Darul Aman Garrison. He believes that the one he saw at Darul Aman garrison still had its suspension and gun intact, and therefore, is the famous one from the National Museum of Afghanistan. This vehicle was kept outdoors, but the museum closed in the early 1990s when rival Taliban factions fought for control of Darul Aman palace (located over the road from the museum), and it was looted many times. It is probable that the Disston at the museum has been removed by looters and was probably abandoned nearby. “cmikucki” believes this Disston to be a third, distinct from the ones that he has seen, because the one he saw at Darul Aman had its suspension intact. However, it is the author’s belief that this Disston is the one from the National Museum of Afghanistan, as no others are known to have been given a long replica gun. It is quite possible that he is simply mistaken, and has forgotten what he has seen. “cmikucki” has not described the gun barrel of either tank that he has seen, and it is plausible that he is mistaken for what a Disston’s gun barrel looks like. It is also possible that the vehicle has had its suspension removed at some point between him seeing it, and it being photographed, hence why he does not recognize it and believes it to be distinct from the one he saw at Darul Aman. Based on information from Steve Tyliszczak and Dean Larsen about vehicle clean-ups, salvaging, and scrapping, this seems rather likely. It is the author’s belief that there are perhaps as many as four at KMTC (up to three in one area, and one in another) because of photographic evidence, but several US soldiers have given different figures, which will be explored. Three Disstons can be seen together in 2006 – apparently all long track types (although it is hard to tell with the vehicle on the far left). According to the poster on g503.com forums, this photo was taken by French soldier circa 2006 at a “sideline Blackwater Base in Kabul“. This “sideline base” is almost certainly referring to Pol-e-Charkhi, and the mountainous terrain as seen in the background points towards this being the case, too. According to sources, this photo was most likely taken between Forward Operating Base Scorpion and the Armor Branch School on the north-west side of Gharib Ghar, close to Range One and Two, and some old, bombed-out buildings. These vehicles appear to have been moved around over time, and may now be slightly further apart than the photo shows for aforementioned reasons. 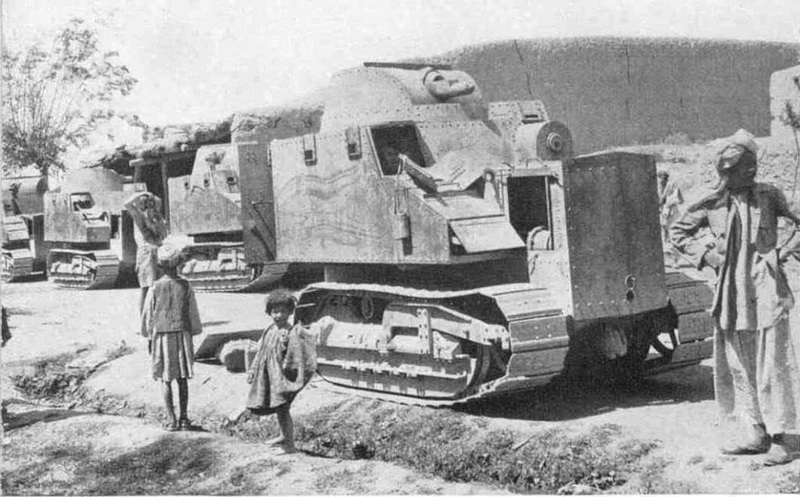 The fourth Disston at Pol-e-Charkhi is believed to be in a different tank graveyard area, and is most likely the only short-track type in existence. According to Kingston Montgomery Winget, a single Disston is likely located at the fence line east of the Armor Branch School with many old Soviet vehicles, just before the firing ranges. This particular vehicle is believed by the author to be the ‘short-track type’, of which there are several photographs showing it alone. This is also most likely the vehicle that “cmikucki” reports seeing in 2006 at KMTC. 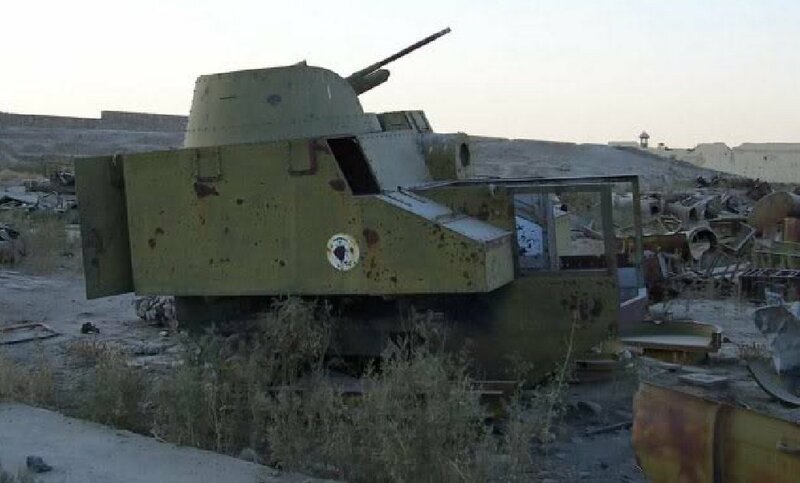 This is evidenced further by Charles Lemons (ex-curator of the US Armor and Cavalry Museum) as he suggests that this short track vehicle was last photographed circa 2011. 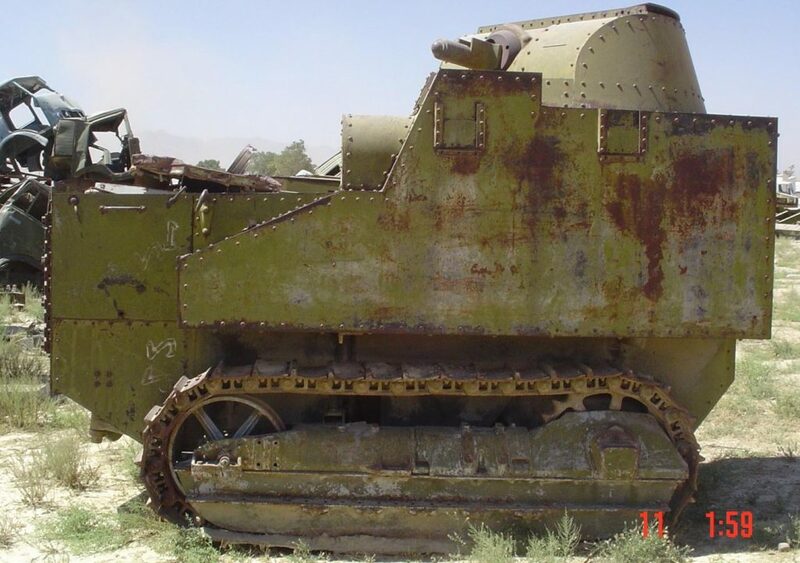 Lemons has also provided photos of this skeletal Disston tank, which he suggests were taken at KMTC. This ‘skeletal Disston’ appears to be the vehicle on the far right (or possibly the center) of this grouping of three, which is believed to be between Forward Operating Base Scorpion and the Armor Branch School. Assuming this to be true, (as it is hard to tell, but it appears to be a long-track type), then this short track type is a fourth vehicle at Pol-e-Charkhi, and is, as Winget suggests, located at the fence line east of the Armor Branch School. However, due to the lack of photographs, the fact that available photos were taken over five years, the likelihood of further damage to the vehicles from scrapping (thus making it exceptionally difficult to identify individual vehicles), and the fact that some may have been moved around over time, it is near impossible to say where these vehicles are currently, what condition they are in, and how many vehicles are actually left. According to Ian Parker, the US Armor and Cavalry Museum contacted him in 2015 about arranging an export of at least one Disston. The ANA (Afghan National Army) would not even begin to entertain the offer without substantial bribes at multiple levels. He reports that he was offered a T-27, but in his opinion, getting it out through Pakistan would have been more trouble than it would have been worth. The attempt to sell Kuwait and Romania Disston Tractor Tanks, and the successful sale to Afghanistan is documented with primary sources and clear photographic evidence. However, there were three more reported attempts to sell the vehicle. These are: the US Military (namely the US Army and US Marine Corps), Canada, New Zealand, and China. There is a general lack of credible evidence for each of these potential users/buyers, but the claims cannot be categorically dismissed either. In some cases, there has been difficulty obtaining the original source material for the claims, however, additional research on the claim has been undertaken in each case. Sources will suggest that at some point between 1933 and 1935, the US Army was offered the tanks, but refused to buy any. In the same time frame, the USMC was reportedly interested and briefly operated sixteen. One source suggests that these tanks were from a diverted order from the Chinese, but this is not a substantiated claim. There is no photographic evidence for any of these suggestions, nor are there any available primary sources. Having contacted the US Army Center of Military History, and US Army Tank-automotive and Armaments Command (TACOM) for more information, both stated that they have no records of the Disston Tractor Tank. Charles Lemons has stated that there is no photographic evidence for the Disston ever being in US military service. He suggests that the USMC would certainly have taken photographs if they ever did operate any. 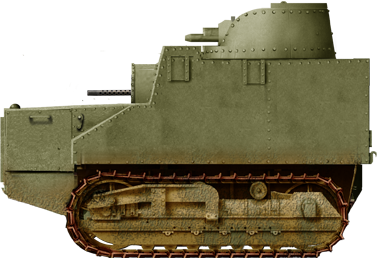 The USMC was still using the 6-ton M1917 (US license built Renault FT) into the late 1920s, after which the tank companies were disbanded. 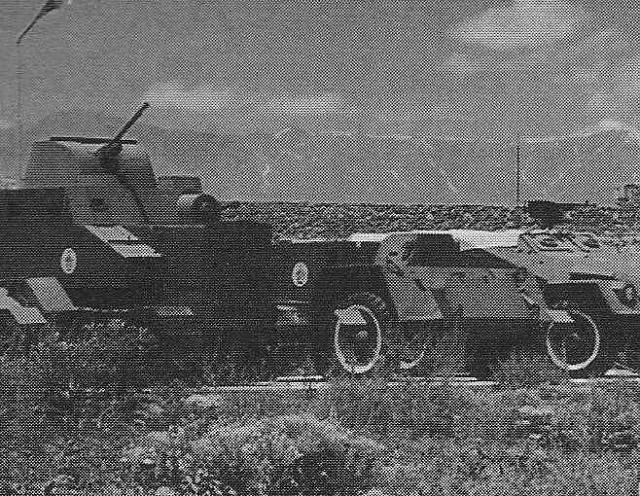 Interest in USMC tank units awakened again in 1936 and the Corps was interested in Marmon-Herringtons. It is his opinion that the Disston would not have been a good choice for the Marines because of its weight and size, and therefore, none were bought by the USMC. 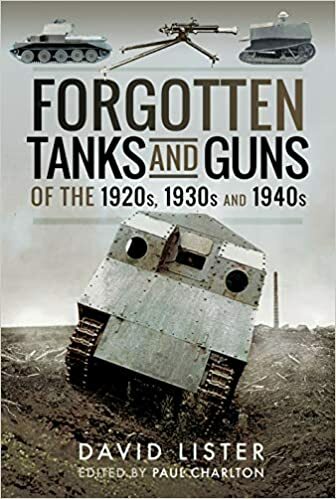 According to “The Great Tank Scandal, The Universal Tank” by David Fletcher, there were suggestions to mechanize the New Zealand Army with the Disston Tractor Tank. This claim’s original source is a paper written in 1938, although the exact paper is not source cited by Fletcher and cannot be traced further. The later Bob Semple tractor tank from 1942 was a very similar design because it was built using a postcard depicting a Disston Tractor Tank. 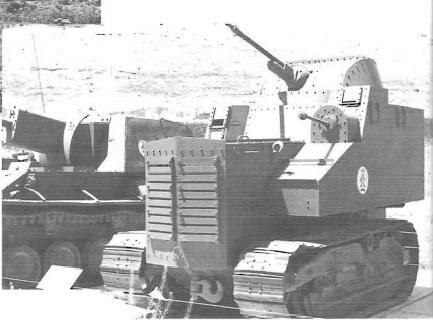 The Bob Semple was based on the similar Caterpillar RD8 (from 1939), featured suspension that was lengthened in nearly the exact same manner, a similar turret design, same hatch designs, and even featured the exact same pistol port design. According to “Mobilize! : Why Canada Was Unprepared for the Second World War” by Larry D. Rose, in spring, 1935, the General Supply Company of Canada wrote to the National Defense Headquarters offering to produce the tanks for Canada. The proposal was rejected because the tanks were simply too slow. The source for this claim is cited, but unfortunately, obtaining a print copy of this book has proven difficult for the author, and therefore, the original source on Rose’s information about the Disston has not been evaluated. Regardless, there are no other sources to substantiate this claim, and the National Defense Headquarters and The Library and Archives Canada have both stated that they have no documents relating to this subject. China is reported to have received (or at least ordered) four tanks. No dates are given by sources for the order date, but according to “A Place to Live and Work: The Henry Disston Saw Works and the Tacony” by Harry C. Silcox, four tanks were built in 1938 and delivered in 1939 because of security concerns. The source for this claim is cited in the book, but due to an issue with obtaining a print copy of Silcox’s book, the source cannot be ascertained at this moment in time. Many other book sources also suggest that China received some tanks, too. In contradiction to Silcox’s claim of four delivered in 1939, one source suggests that the order was actually canceled in 1935, and these were sent to the USMC – although this claim can be largely dismissed, as it is believed that the USMC use is a myth. There are no records of any negotiations or attempts to sell the Chinese the vehicles. Even if there were, it seems possible that the Chinese would not be interested in the vehicle. According to “General of Fortune, The fabulous story of One-Arm Sutton“, by Charles Drage, the similar Sutton Skunk might have been marketed to China in late 1932, but the Chinese preparations for war against Japan were in the hands of a German military mission, headed by General Von Seekt, who did not need “talented amateurs like Sutton, nor his ingenious improvised tractor tank“. 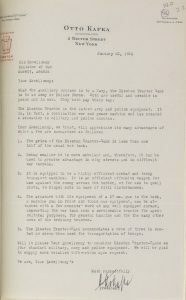 Whilst the situation was dire in the mid-late 1930s, especially as Sino-German cooperation was coming to a close by 1938, and it might logically follow that the Chinese would now be willing to buy tractor tanks, there is no credible evidence for even the marketing of Disston Tractor Tanks ever taking place. 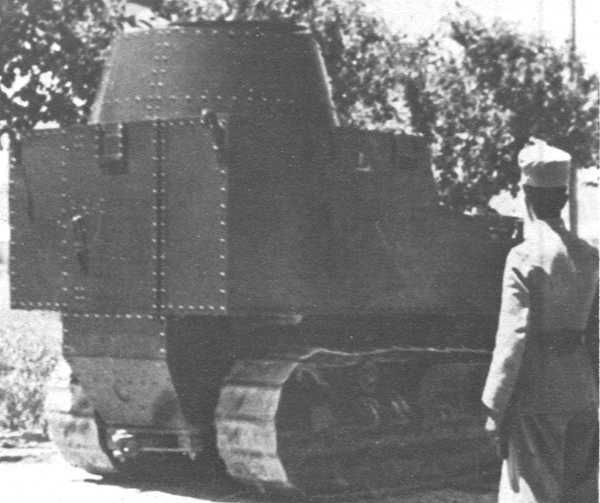 Also, given that the Sutton Skunk was rejected, when ‘One-Arm Sutton‘ was so well respected in China, it seems unlikely that the Disston Tractor Tank was ever bought by China. If the Disston Tractor Tank was ever sold successfully to China, it is likely that a successful sale would involve Sutton, if he was not, by this time, busy with his mining operation in Korea. The leading academic on the western armaments trade to China in the early 20th century, Anthony B. Chan was contacted, but unfortunately he has given no comment on the subject. The Disston Tractor Tank was, frankly, a get rich quick scheme, and the quality of the machine reflects this. Whilst it might be easy to accept the slick advertisements as fact, it was still little more than a tractor, slow and overburdened with some armor plate and a pair of guns. The Disston Tractor Tank’s production and marketing probably ended not much later than 1937, by which time, the global economy had just about recovered and armies looking for tanks could begin serious projects. The claims about China receiving tanks as late as 1938 or 1939 have not been substantiated, but could be true. It seems more probable than not that the vehicle was marketed to more nations than recorded in this article – however, relevant documents may remain undisturbed in national archives. Total production Unknown. Using photographs, the lowest realistic estimate is at 6 (five in Afghanistan, plus one prototype). The highest estimate, albeit spurious, places it at 36. There are plenty of other estimates. 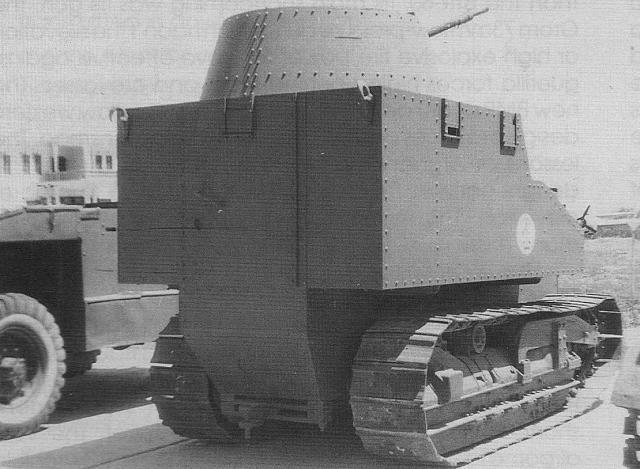 Prototype Disston Tractor Tank, circa 1933. This one was allegedly made in two hours from scrap metal. Rendition of an Afghan Disston Tractor Tank circa WW2. 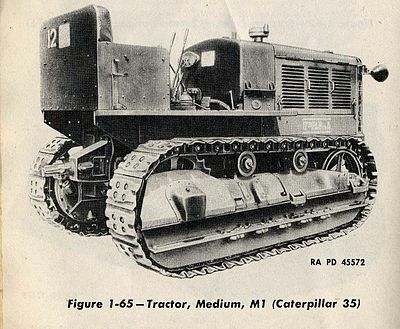 There were two types – most had lengthened track assemblies, but one retained the original and unmodified Caterpillar Model 35 track assembly. 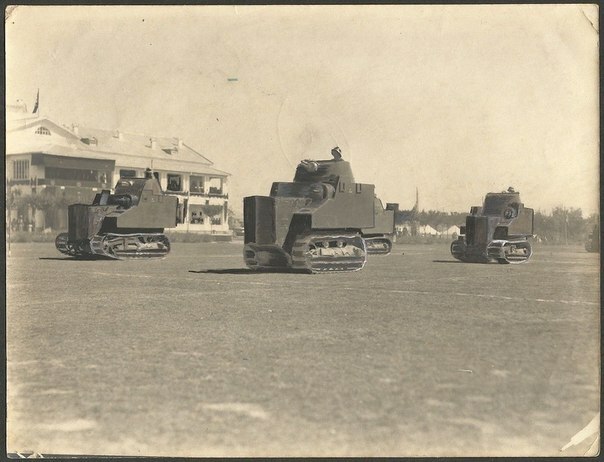 Five Disston Tractor Tanks on parade in Afghanistan, circa 1937 – the fifth is just out of shot to the right, but the tip of its engine deck and tracks can just be seen. The center tank does not have a lengthened track assembly. This is the only photograph to show Disstons with their armaments. Several Disston Tractor Tanks in Kabul. The photograph was reportedly taken by a French soldier, in March 2006 at KMTC, Pol-e-Charkhi. According to information provided by Kingston Montgomery Winget, this photo was likely taken between Forward Operating Base Scorpion and the Armor Branch School on the north-west side of Gharib Ghar, close to Range One and Two, and some old, bombed-out buildings. These vehicles are likely to have been moved apart before 2015. These all appear to have long-track suspensions – important to note, as a fourth vehicle with a short track assembly is reported at Pol-e-Charkhi. More recent view of what appears to be the vehicle in the far right of the above. It appears as though the vehicle has rusted further and the turret and what remains of the gun have been moved. It may have been moved apart from the other three over time Courtesy of Charles Lemons. Short-track type Disston Tractor tank, circa 2011. According to Charles Lemons, this photo was taken in the “same place” as the above. According to information provided by Kingston Montgomery Winget, this one likely located in a separate vehicle graveyard at the fence line east of the Armor Branch School, along with many old Soviet vehicles, just before the firing ranges. Courtesy of Charles Lemons. Different view of the above. Courtesy of Charles Lemons. Different view of above, possibly at an earlier point in time. 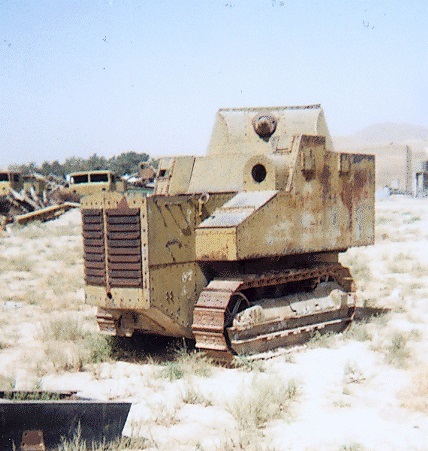 Disston Tractor Tank, believed to be at a garrison near Darul Aman Palace in southern Kabul circa 2006 – this is believed to be the one on display at the National Museum of Afghanistan, because it features the dummy gun and clear Afghan marking, now somewhat rusted. 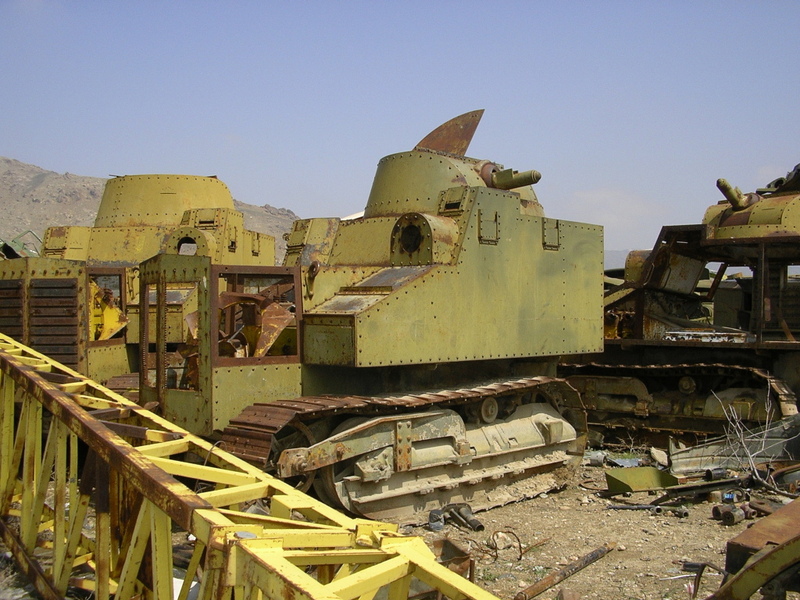 A Disston Tractor Tank on display in the National Museum of Afghanistan. The museum closed in the 1990s when rival Taliban factions fought for control of nearby Darul Aman Palace. The engine grill is probably an Afghan modification to stop the engine from overheating. The gun barrel is also likely a prop, for display purposes. It was last seen near a garrison at Darul Aman Palace, close to where it was originally displayed, missing its suspension and some armor plates. Different view of the above. Likely earlier, due to the photo being in black and white. Drawing of a Caterpillar Model 35 tractor. These were modified by adding a new, but smaller, wheel in front of the front wheel. The new wheel was held in place by a metal bar which was riveted to the rest of the assembly. It is unclear where the exhaust pipe has been moved to. 1935 advertisement for the Disston Tractor Tank. 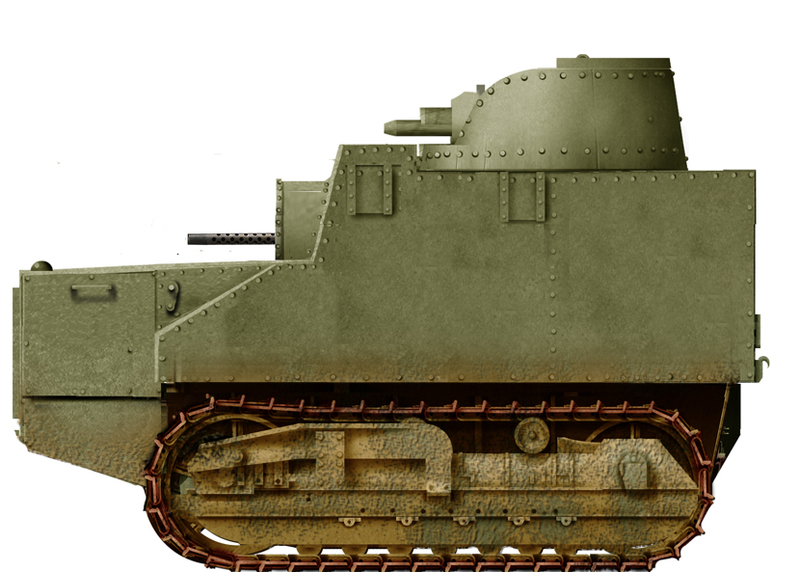 It is believed to be the prototype design, as the suggestion of scrap metal being used to armor the original model seems to refer to the picture below. The source for this material is unknown. Advertisement leaflet for the Disston Tractor Tank from Otto Kafka’s correspondence with Kuwait. This appears to show an unaltered photo of the above Disston prototype.View closer here. Slightly different view of the above. Otto Kafka’s letter on the Disston Tractor Tank addressed to the Kuwaiti Minister of War. View closer here. Poor quality photo of several Disston Tractor Tanks. Their exact hull shapes appear slightly different to one another. Unknown location, unknown date – Likely Afghanistan circa mid/late 30s. Another old photo of the Disston in the National Museum of Afghanistan – on its right, an Indian Pattern Mark IV. Disston Tractor Tank in Afghan service, circa WWII. Note: This image appears to have been cropped. The original cannot be found, but a wider shot of the image can be viewed here. The Disston Tractor Tank certainly seems to have come into existence shortly after the creation of Francis Arthur Sutton’s “Sutton Skunk“. The vehicle is believed to be made in roughly 1932, and the similarities are clear. Both vehicles were based on a tractor (an M1917 5-ton semi-armored tractor for the Sutton Skunk), both used Disston’s high-quality steel alloy plate, both were made with the intention of exports (for the Sutton Skunk, China), and both were made at Disston’s Steel Works. Based on the limited information available on both vehicles, the Sutton Skunk seems to have been developed first. The Caterpillar Company was based Peoria, Illinois, where the Sutton Skunk was made, and it may have perhaps been seen by the Caterpillar Company. The book, “General of Fortune, the fabulous story of One-Arm Sutton“, the only source for the Sutton Skunk, reveals few details on the tank’s construction. It will remain unknown if the Disston Tractor Tank was inspired by the Sutton Skunk or not. Amazing what you can find in Afghanistan. It`s not an Indian Pattern. It`s soviet BTR-40. There’s another vehicle between the Disston and the BTR. That is an Indian Pattern Mark IV.